Total Eclipse Weekend Columbia, S.C. is a regional tourism campaign founded to celebrate the total solar eclipse of August 21, 2017 and create a lasting economic impact by inspiring local groups to host more than 120 eclipse events across the long weekend of Aug. 18-21, thus raising awareness of the Columbia, S.C. area as a vibrant, authentic destination filled with cool things to do all year round. Columbia, S.C., was identified early on as one of the top places in the nation to experience the upcoming total solar eclipse by astronomy experts and by USA Today, Forbes, the Washington Post, and more, with eclipse coverage by the New York Times, Newsweek, TIME, the Telegraph UK and others. The campaign has garnered more than 7 million estimated media coverage views for the region. Multiple national and international media will be in our region this weekend and Monday to cover the eclipse, including ABC News, NBC News, CNBC, Sky News Europe, Channel 4 UK and the New York Times. 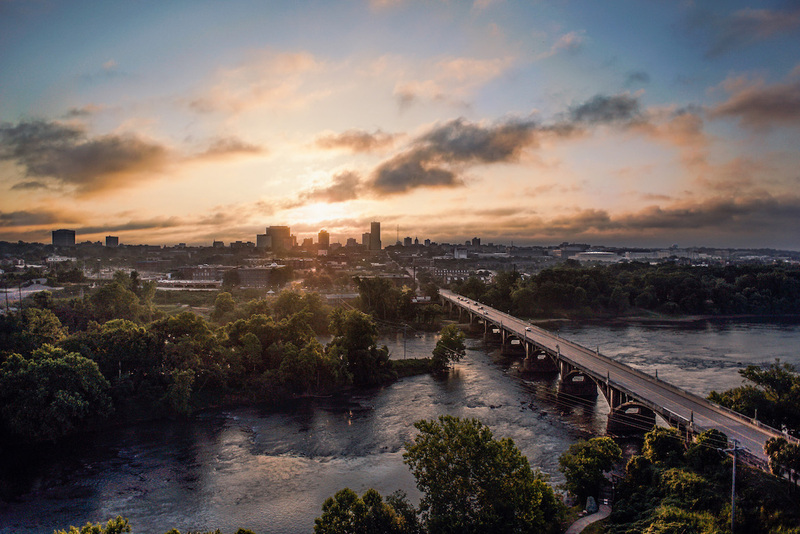 Visitors will experience the unexpected urban south in Columbia, S.C. – the real southern hot spot. On Aug. 21 at 2:41 p.m., the Columbia, S.C., area will see the longest total eclipse on the East Coast, ranging from 2 minutes and 30 seconds to 2 minutes and 36 seconds of darkness in the middle of the afternoon. Columbia, S.C. is the 3rd largest U.S. city on the center line of the path of totality. Anyone who wishes to view the partial eclipse leading up to and following the total eclipse needs certified protective eclipse viewing glasses equipped with a special safety film. When darkness falls, remove your glasses to see totality. When daylight returns, put your glasses back on if you want to view the outgoing partial eclipse. The exact moment of totality at the S.C. State Museum at 301 Gervais St. is 2:41:50 p.m. and ends at 2:44:20 p.m. The incoming partial eclipse begins at 1:13 pm and the outgoing partial eclipse ends at 4:06 p.m.
NASA recommends using eclipse glasses made by manufacturers listed by the American Astronomical Society, or AAS. Another 184,000 pairs were ordered through the Total Eclipse Weekend Columbia, S.C campaign’s bulk discount from Rainbow Symphony for private businesses and event hosts like the Columbia Fireflies, Solar 17 at Lake Murray and the South Carolina State Museum. NASA has estimated that S.C. could see an influx of up to 1 million visitors or more to witness this eclipse. This number could increase up to 2 million per recent projections. There is a collective capacity of 180,000 across all 120 events over the long weekend. The population of the entire Columbia, S.C. region is 689,000 (Richland and Lexington Counties) plus an additional 231,000 people in adjacent counties. Ticket sales across SC State Museum’s events are from 23 states and 8 countries. Columbia Metropolitan Airport (CAE) has seen a 245% increase in flight searches, per Cheapflights.com, and more than 130 private aircraft are flying into CAE for the eclipse. Departing flights on Aug. 22 will be 100% booked. There are 11,600 hotel rooms in the Columbia, S.C., area. Hotels are at 100% occupancy for Sunday and Monday nights, and an estimated 95% for Friday and Saturday night. Some hotels have reported 100% occupancy from Thursday through Wednesday. Airbnb vacation rental bookings for Aug. 20 are up by 570% compared to the prior week. 40% of Columbia’s 740 Airbnb bookings on Aug. 20 are people renting their homes via Airbnb for the first time. Airbnb will bring in $2 million across SC for the eclipse, w/9500 bookings statewide on Aug. 20. All 28 of the S.C. State Parks within the path of totality are fully booked. Normally, roughly 60% of S.C. State Parks’ guests in the 3rd week of August are South Carolinians. This year, only 28% are South Carolinians. 72% are coming from 38 states and several foreign countries. Sales at South Carolina State Museum store have more than tripled as of early August, up 266% from same time last year. Conservative revenue projections for the museum from the eclipse equal $235,000. A coalition of six regional tourism organizations and attractions banded together in Summer 2016 to launch the campaign, including Experience Columbia, SC; the City of Columbia; Capital City Lake Murray Country; the South Carolina State Museum; the Columbia Fireflies Minor League Baseball Team; and One Columbia for Arts & History. Major sponsorship is provided by the City of Columbia, S.C., with key support from Experience Columbia, S.C., and assistance from the City of Cayce, S.C. and Richland County. Learn more about the eclipse in Columbia, S.C. here, and plan your trip to the real southern hot spot here.